Earle’s on Crenshaw caters all types of food with any kind of budget. 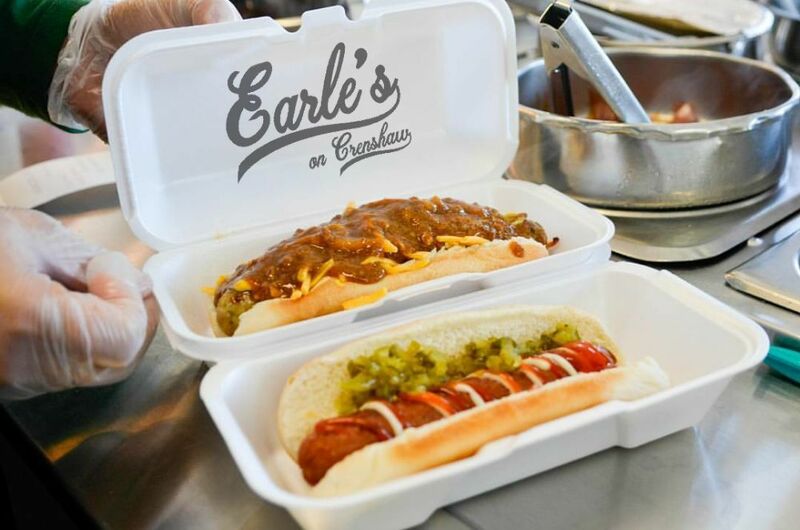 A staple of the community for years, Earle’s on Crenshaw is serving up something delicious and fantastic, from their classic butterfly-style grilled hot dogs, to their kabobs, tamales, sandwiches, and more, Earlez will never disappoint. Go Metro - Earle’s on Crenshaw is located at 3864 Crenshaw Blvd, Los Angeles, CA 90008. Find your best route with the Trip Planner.